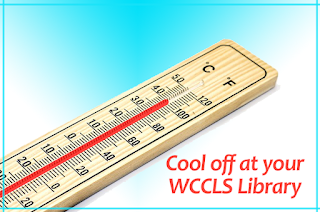 Check your library's hours this week - they all have air conditioning and many are open until 8 pm or later! Tualatin Public Library will be open extended hours on Sunday, July 29 until 7 pm. Do not rely on a fan as your primary cooling device when it is very hot. Avoid strenuous activities in the heat of the day. Take cool showers or baths to lower your body temperature. Find a splash pad or fountain. Don’t use your stove, oven, washer or dryer on very hot days. Close your blinds and curtains to keep sunlight out. If the temperature falls at night and it’s safe to do so, open your windows to let the cool air in. Drink plenty of fluids, especially while working or exercising outside. Avoid alcohol or sugary beverages. Check for symptoms and treatment of heat-related illnesses.